If you're going to engage in a foreign policy capitulation, might as well do it when everyone is getting tanked and otherwise occupied. Say, around New Year's Eve. Here's the story. In October, Iran test-fires a nuclear-capable ballistic missile in brazen violation of a Security Council resolution explicitly prohibiting such launches. President Obama does nothing. One month later, Iran does it again. The administration makes a few gestures at the U.N. Then nothing. Then finally, on Dec. 30, the White House announces a few sanctions. They are weak, aimed mostly at individuals and designed essentially for show. Amazingly, even that proves too much. By 10 p.m. that night, the administration caves. The White House sends out an email saying that sanctions are off - and the Iranian president orders the military to expedite the missile program. Is there any red line left? First, the Syrian chemical weapons. Then the administration insistence that there would be no nuclear deal unless Iran accounted for its past nuclear activities. (It didn't.) And unless Iran permitted inspection of its Parchin nuclear testing facility. (It was allowed self-inspection and declared itself clean.) And now, illegal ballistic missiles. The premise of the nuclear deal was that it would constrain Iranian actions. It's had precisely the opposite effect. It has deterred us from offering even the mildest pushback to any Iranian violations lest Iran walk away and leave Obama legacy-less. Just two weeks ago, Iran's Revolutionary Guards conducted live-fire exercises near the Strait of Hormuz. It gave nearby U.S. vessels exactly 23 seconds of warning. One rocket was launched 1,500 yards from the USS Harry S. Truman. The Gulf Arabs - rich, weak and, since FDR, dependent on America for security - are bewildered. They're still reeling from the nuclear deal, which Obama declared would be unaffected by Iranian misbehavior elsewhere. The result was to assure Tehran that it would pay no price for its aggression in Syria and Yemen, subversion in Saudi Arabia and Bahrain, and support for terrorism. Obama seems not to understand that disconnecting the nuclear issue gave the mullahs license to hunt in the region. For the Saudis, however, it's not just blundering but betrayal. From the very beginning, they've seen Obama tilting toward Tehran as he fancies himself Nixon in China, turning Iran into a strategic partner in managing the Middle East. This is even scarier because it is delusional. 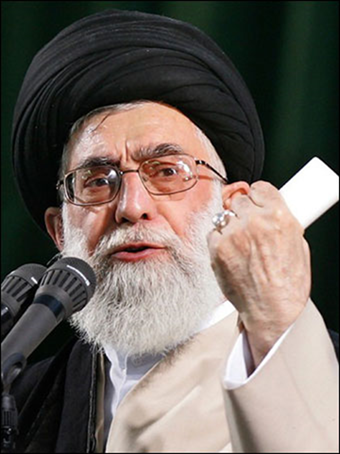 If anything, Obama's openhanded appeasement has encouraged Iran's regional adventurism and intense anti-Americanism. The Saudis feel surrounded, and it's not paranoia. To their north, Iran dominates a Shiite crescent stretching from Iraq, Syria and Lebanon to the Mediterranean. To the Saudi south, Iran has been arming Yemen's Houthi rebels since at least 2009. The fighting has spilled over the border into Saudi Arabia. The danger is rising. For years, Iran has been supporting anti-regime agitation among Saudi Arabia's minority Shiites. The Persian Gulf is Iran's ultimate prize. The fall of the House of Saud would make Iran the undisputed regional hegemon and an emerging global power. For the United States, that would be the greatest geopolitical setback since China fell to communism in 1949. Yet Obama seems oblivious. Worse, he appears inert in the face of the three great challenges to the post-Cold War American order. Iran is only the most glaring. China is challenging the status quo in the South China Sea, just last week landing its first aircraft on an artificial island hundreds of miles beyond the Chinese coast. We deny China's claim and declare these to be international waters, yet last month we meekly apologized when a B-52 overflew one of the islands. We said it was inadvertent. The world sees and takes note. As it does our response to the other great U.S. adversary - Russia. What's happened to Obama's vaunted "isolation" of Russia for its annexation of Crimea and assault on the post-Cold War European settlement? Gone. Evaporated. John Kerry plays lapdog to Sergei Lavrov. Obama meets openly with Vladimir Putin in Turkey, then in Paris. And is now practically begging him to join our side in Syria. There is no price for defying Pax Americana - not even trivial sanctions on Iranian missile-enablers. Our enemies know it. Our allies see it - and sense they're on their own, and may not survive.